Video: Sharon Fairley, former chief administrator of the Civilian Office of Police Accountability, shares her perspective on the story. Chicago’s top cop on Monday stood by a letter he wrote last month supporting one of his officers and rejecting the findings of a public commission investigating a 2015 officer-involved shooting that left two people dead. 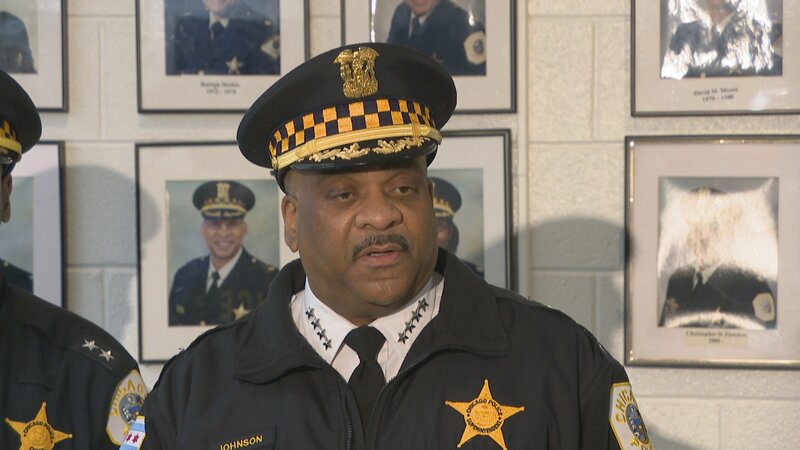 Chicago Police Department Superintendent Eddie Johnson said his decision to support Officer Robert Rialmo came down to his understanding of department policy, and wasn’t based on his emotions or public pressure. “There was a lot of thought and deliberation that went into that, it really was,” Johnson told media Monday morning in his first remarks since his letter disputing the Civilian Office of Police Accountability’s findings in the case went public. Document: Read the letter Johnson backed Rialmo in the letter, saying he disagreed with the COPA’s determination that the officer was unjustified in the 2015 shooting death of Quintonio LeGrier after responding to a domestic disturbance call on the West Side. LeGrier, 19, was reportedly holding an aluminum baseball bat, which Rialmo said he swung at him prior to the shooting. Bettie Jones, 55, was accidentally struck and killed by an errant bullet fired by Rialmo during the incident. The time between officers arriving and the shooting was about one minute, according to another officer on the scene who described what happened as “a pure ambush” by LeGrier. “We find a reasonable officer in Officer Rialmo’s position would not have believed he was in imminent harm of death or great bodily harm at the time Officer Rialmo began firing his weapon,” COPA investigators wrote in a report on the shooting late last year. Johnson refuted those findings in his 11-page letter, saying he believes Rialmo’s actions were justified by the department’s use of force policy that was in place at the time of the shootings. That policy has since been updated, but Johnson wouldn’t speculate about how a similar incident would be treated if it were to happen today. “That is a fact, no matter how much some people would like to make it otherwise,” Brodsky said in a statement last week. Relatives of both LeGrier and Jones filed wrongful death lawsuits against the city shortly after the shooting. A Cook County judge ordered Johnson and Mayor Rahm Emanuel to sit for sworn depositions in LeGrier’s case. Those were held last month, but weren’t open to the general public. City of Chicago attorneys last year also sought to sue LeGrier’s estate, contending he was responsible for Jones’ death. COPA may submit a rebuttal to Johnson’s findings, and the two sides will be allowed to deliberate their reports. From there, the case will be heard by a single member of the civilian Chicago Police Board, who will then determine if it should be heard by the full nine-member board. That board then has the ability to fire Rialmo if it concurs with COPA’s findings. “Now I look forward to having a conversation with COPA to see if they can bring points to the forefront that I didn’t take into consideration, or maybe I can do that,” Johnson said. March 28: It’s been more than two years since Jason Van Dyke pleaded not guilty to murder charges in the death of Laquan McDonald. The judge in the case now says he wants the trial to get moving in the coming months.